Los Angeles, California — February 4, 2010 — On Friday, February 19, 2010, Jennifer Beever will be the featured marketing speaker at the San Fernando Valley breakfast meeting of the Institute of Management Consultants USA. 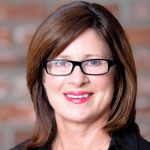 Jennifer will present “Marketing Tactics for 2010: A Brainstorming Session with New Incite.” The breakfast takes place from 7:30 to 9:00 AM at Carrow’s Restaurant on 18355 Ventura Boulevard, Tarzana, California, 91356. Attendees network from 7:00 to 7:30 AM and present their marketing elevator pitch to the group before the program starts. New Incite is a marketing consultancy that offers B2B marketing analysis and planning, implementation of marketing plans and analysis of results for businesses. It was founded by Jennifer Beever in 1997 in Woodland Hills, CA. New Incite works cross industry, with a particular focus on technology, manufacturing and green companies. For more information about Jennifer Beever, New Incite or its outsource CMO for Hire services, visit www.newincite.com or contact Jennifer Beever by email or by calling 818-347-4248. Founded in 1968 in New York, the Institute of Management Consultants USA (IMC USA) is a nonprofit organization based in Washington, DC. IMC serves as the premier professional association and certifying body for management consultants in the US. Created in 1968, IMC USA members adhere to a rigorous Code of Ethics, and a commitment to lifelong learning and professional development. IMC USA awards the designation of Certified Management Consultants (CMC) to recognize achievement of an internationally recognized standard of technical competencies and professional conduct.